Aditya Birla Health Insurance Co(ABHICL) has unveiled ‘Activ Assure’– a health insurance product, key offering from its ‘Protection’ portfolio. It is a health insurance offering incorporating ABHICL’s unique program that incentivises customers upto 30% of their premium as HealthReturns by tracking and rewarding their health activity regularly. Bajaj Allianz General Insurance, today introduced a missed call service for its Travel Insurance customers, where they can receive comprehensive assistance and information while travelling overseas. Insured person just needs to give a missed call on the number +91 124 6174720, which is a unified contact number across the world. Domestic airlines registered about 24.14% growth in passengers flown during February compared to that a year ago, data released by the aviation regulator showed. As per the data, released by the Directorate General of Civil Aviation (DGCA) on Monday, Indian carriers carried 10.7 million passengers during the month, up from 8.6 million in February 2017. As a result, all key scheduled carriers flew their planes with over 80% of their seats full. Russia’s state-owned reinsurer, Russian National Reinsurance Company (RNRC), has received approval from the IRDAI to operate as a cross-border reinsurance company. 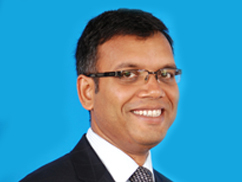 BSE’s India International Exchange (India INX), India’s first international exchange based in the International Financial Services Centre (IFSC) at Gujarat International Finance Tec-City (GIFT City) has achieved a major milestone in March 2018 when its cumulative total trading turnover crossed the USD 24 billion mark driven by a substantial jump in its trading volume which increased to over 1.5 million contracts. India INX has maintained its leadership as the No. 1 exchange in IFSC GIFT City with an overall market share of 72.4% for the period from November 01, 2017 to March 16, 2018. 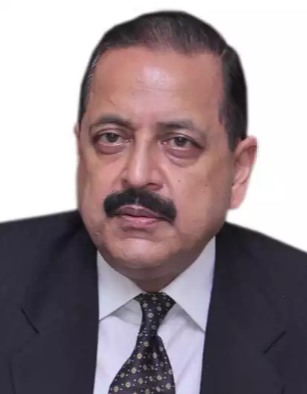 There is no plan to increase the retirement age of central government employees from existing 60 years to 62 years, Minister of State for Personnel Jitendra Singh said today. "No," he said, in a written reply to a question as to whether the government proposes to change the retirement age of the employees. HDFC Life has launched HDFC Life Cardiac Care, a comprehensive and affordable cardiac care plan which offers cover for 18 heart conditions. India’s largest domestic investor Life Insurance Corporation of India has once again come to government’s rescue by subscribing 70% of Hindustan Aeronautics’ Rs 4,200-crore initial public offering. LIC has invested around Rs 2,900 crore in Hindustan Aeronautics IPO. Chinese major Ping An Insurance Group intends to invest 100 billion yuan ($15.8 billion) over the next 10 years to accelerate development of financial technologies backed by innovations such as artificial intelligence and blockchain. The Chinese insurer already has invested 50 billion yuan in fintech research and development over the past 10 years, said Tan Sin-yin, chief operating officer of the company. Ping An is leading the world in technologies for face and voice recognition that boast a nearly perfect accuracy rate, according to Tan.